[News from the News Center] On the morning of June 30, the construction inspection and acceptance meeting of the YSU based MOE Engineering Research Center (hereinafter referred to as the “Center”) was held in Room 320 of the National Cold Rolling Strip Equipment and Process Engineering Technology Research Center. The evaluation and acceptance committee is composed of relevant experts from the Hebei Provincial Department of Education. 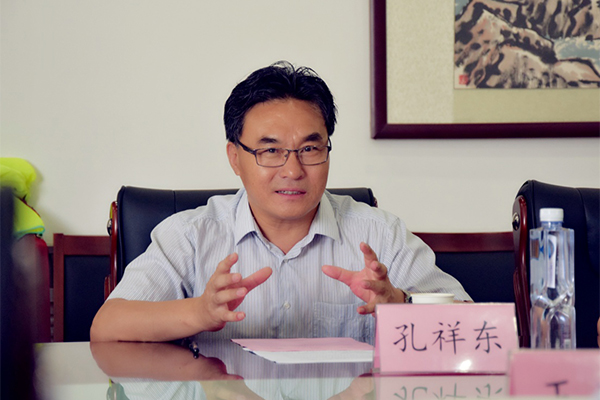 Director Wang Xingda from the Science and Technology Department of Hebei Province attended the meeting. Vice President of YSU, Kong Xiangdong, Science and Technology Research Institute, Finance Department and other units attended the meeting. A photograph of committee experts. The meeting was hosted by Wang Xingda, and Kong Xiangdong welcomed the experts and leaders on behalf of YSU. At the meeting, Prof. Peng Yan, the Director of the "Center" made a report on the basic situation of the center, the status of engineering research and development, engineering research and development capabilities, industrial development impact and contribution, operation management, difficult countermeasures, and development planning. The experts and leaders visited the laboratory, verified the relevant materials for acceptance, and conducted oral examination for the laboratory construction. 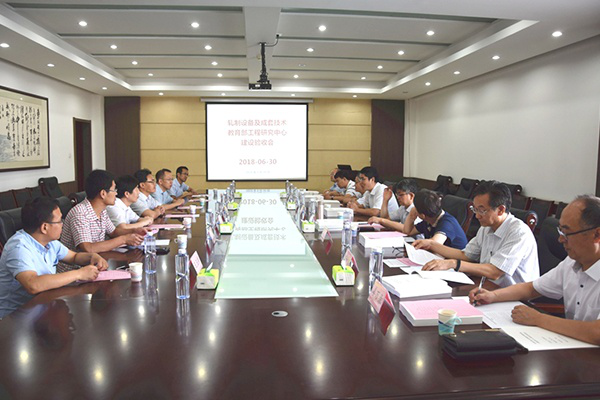 After field review, the Acceptance Committee reached an agreement consensus that the “Engineering Research Center of the Ministry of Education for Rolling Equipment and Complete Technology” completed the tasks stipulated in the construction plan book and recommended acceptance. Kong Xiangdong expressed his heartfelt thanks to the leaders and experts for their attention and support to YSU and the Center. He said that YSU would continue to promote the construction and management of scientific research platforms, continuously improve YSU’S construction, and strive to achieve better results. The Engineering Research Center of the MOE for Rolling Equipment and Complete Technology was approved by the MOE in June 2006. Since the establishment of the Center, it has received strong support and assistance from the relevant units and departments of YSU and the authorities at the higher levels. The Center has carried out a series of effective work and achieved fruitful results in research and development of equipment, product innovation, technology popularization, and industrialization of research achievement. 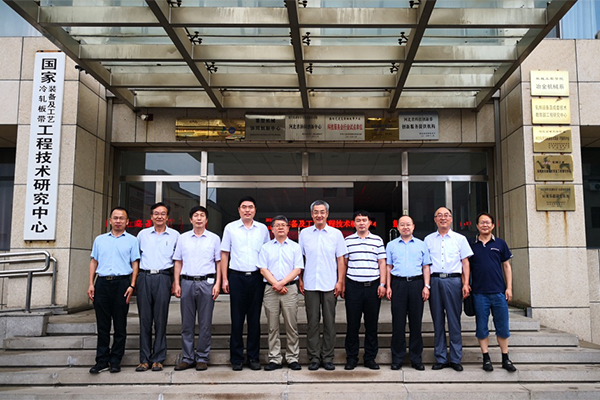 Particularly, the National Cold Rolled Strip Equipment and Process Engineering Technology Research Center and was established, Hebei Modern Rolling Technology and Advanced Steel Materials Collaborative Innovation Center were established as well as management system and operational mechanism for the development of the Center. They have achieved fruitful results in national, provincial and ministerial level awards, intellectual property rights, national standards development, technological innovation in the industry, and major engineering achievements transformation.